Application Security testing has matured and gone mainstream. The most popular testing solutions are inexpensive, fast and easy to use on your application portfolio. The result: a mountain of latent vulnerabilities but not enough time, talent or treasure to adequately investigate and address them all leaving you exposed and anxious. 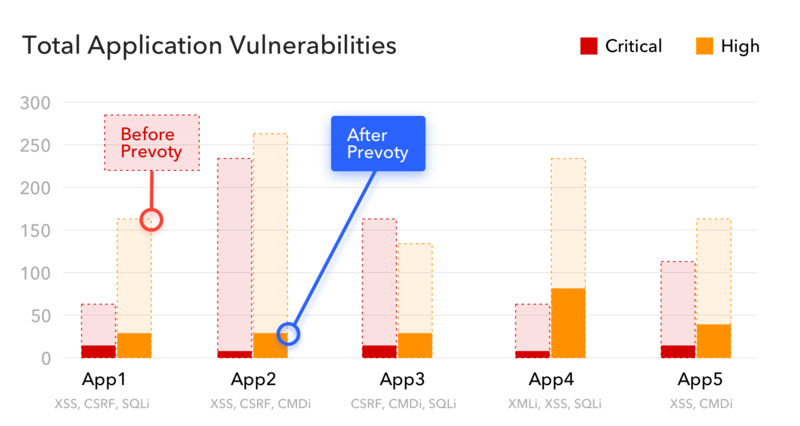 Unlike Application Security testing solutions, which pile more and more issues onto your backlog, Prevoty easily integrates with your applications to automatically inspect input data in real-time, to prevent exploits in Production, and to reduce risk. In just minutes, you can take a significant bite out of your backlog without asking your Developers to change a line of code.